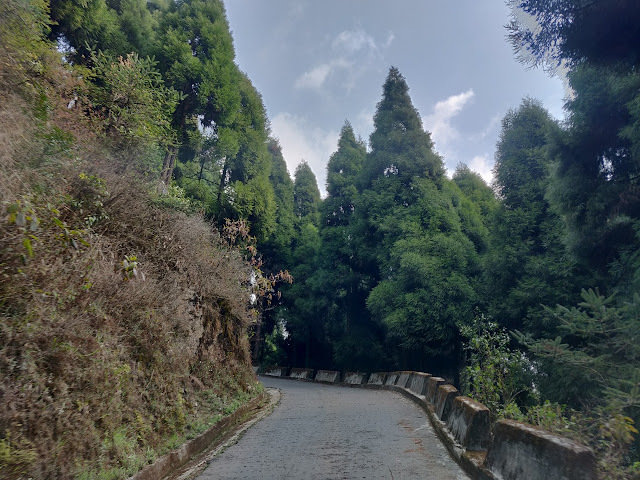 The nearest airport for a tour to Sandakphu is Bagdogra. Indigo has a direct flight from Hyderabad every day. 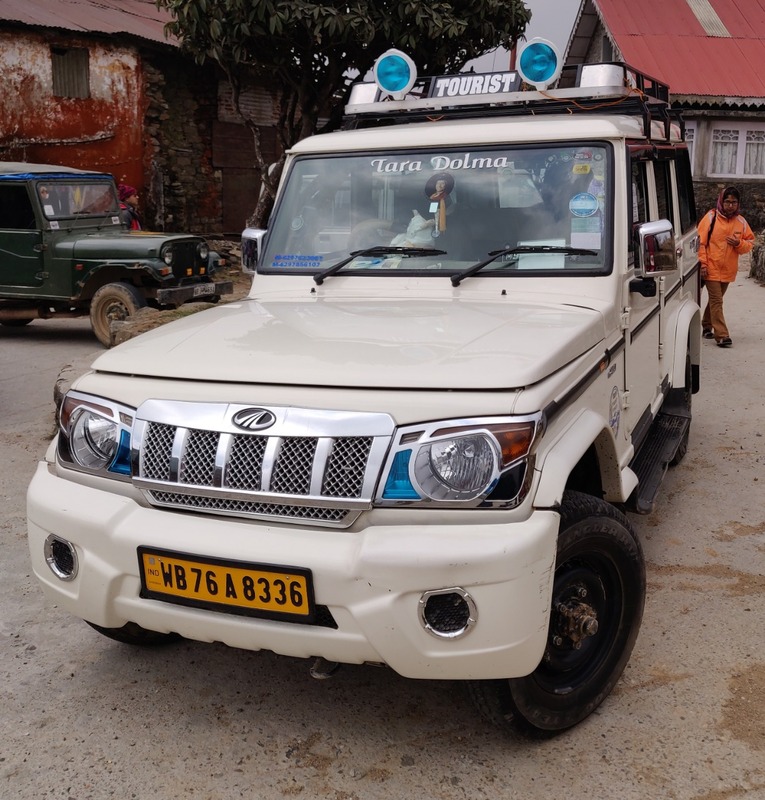 Our agent had a car ready at the airport and very soon we started moving towards Manebhanjyang which is at the foothills of Sandaphu peak. 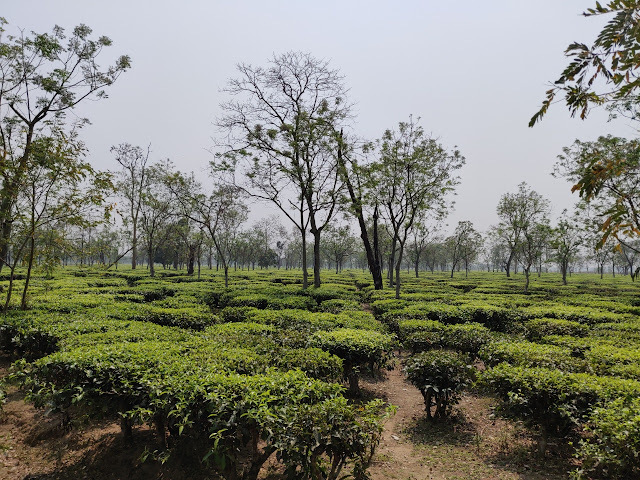 As our vehicle left urban Bagdogra, we were amidst lush green tea gardens. 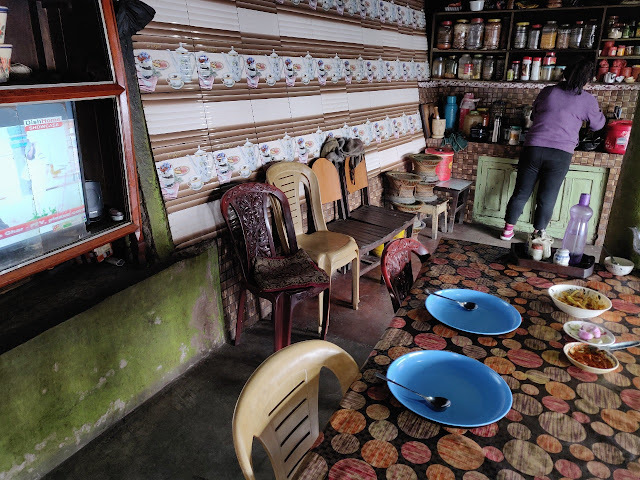 A stop for tea at a small shop for some local tea, and the Nepalese cheese chhurpi sold in small packets. 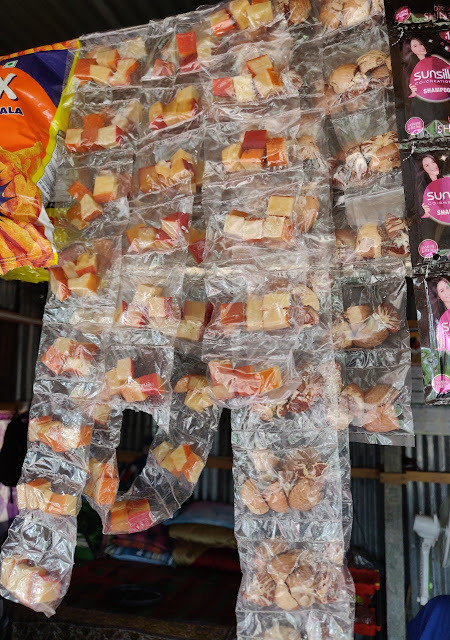 Usually, the small bits of cheese are hung like garlands on a string as we had seen in our earlier trips, but it was sad to see the all-pervading plastic making its presence felt even in this part of the country. 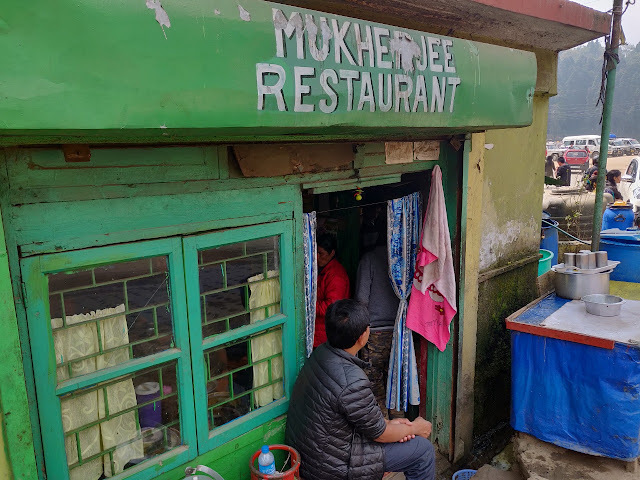 As we approached Mirik Lake, our driver Subhas suggested a small Bengali restaurant which is frequented by the drivers. Mukherjee Restaurant can barely seat eight people, but the meal of rai (sorse) saag, fish and mutton curry with some white rice was very satisfying, with the runny mutton gravy being exceptional. The meal for both of us cost Rs 220. Past Simana (Pasupati market border in Nepal), and Sukhiya Pokhari, we reached Manebhanjyang by late afternoon. Bhanjyang in Nepali means a mountain pass, Manebhanjyang is the gateway to Sandakphu and Phalut, the two highest peaks in West Bengal. The village is a trading center, bordering the Ilam district of Nepal. As you enter the village, you see a number of Landrovers of the 1950s, some in dilapidated condition. Till a few years back, only these World War II Landrovers were allowed to travel beyond Manebhanjyang into the Singalilla National Park to Sandakphu. Now, of course, about half of the fleet is replaced by Boleros. To proceed to Sandakphu you have to mandatorily hire a car from the Himalayan Landrovers Association. The charges are Rs 4500 for a return trip to Sandakphu and Rs 7500 if you proceed to Phalut. 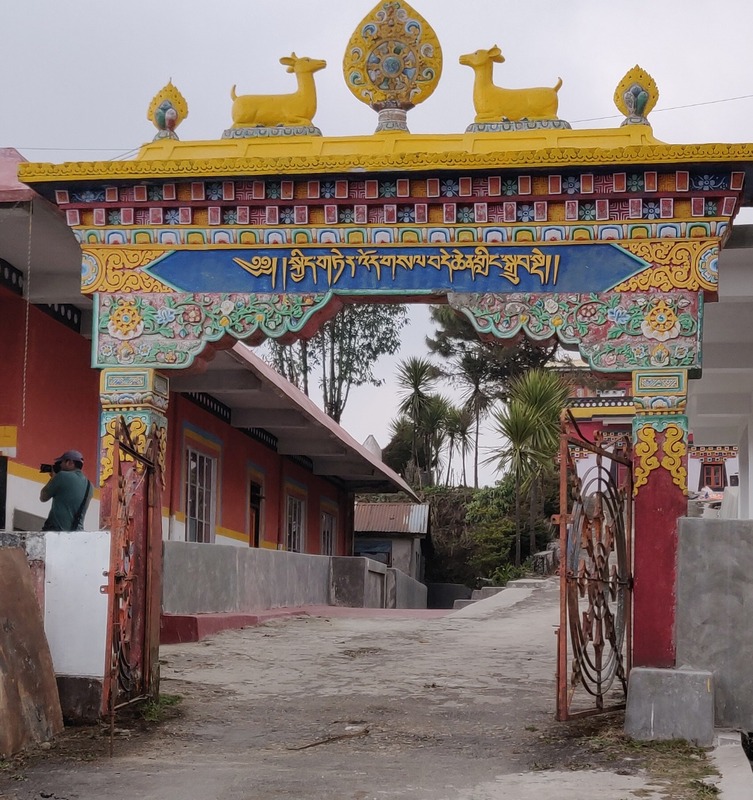 We were taken to Pradhan Lodge at Manebhanjyang which would be our resting place for the night. A small room on the second floor was adequate and with an attached bath. However, the mobile signal was very weak and there was no intercom, so for everything one had to climb down three floors via steep staircases. The affable owner Nilesh Pradhan (9734148217) is a well-known trekking and tour organizer in this area and he was in charge of organizing transport for us for the next day. 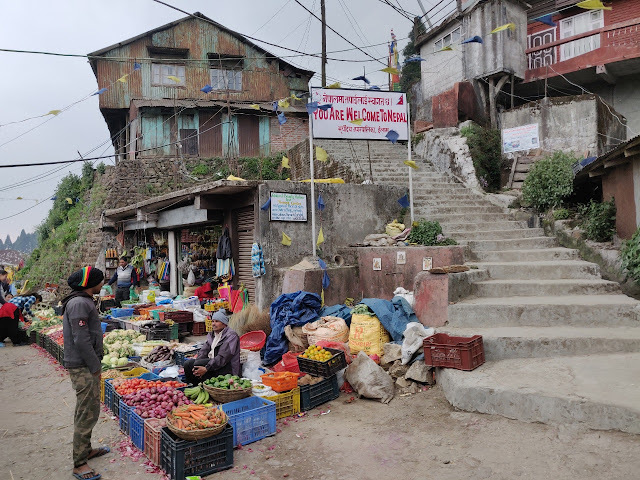 Our evening was well spent taking a walk through and around the rustic Manebhanjyang, visiting the local vegetable market and trying out the local tea. The locals here are quite friendly and are easily drawn into a conversation. 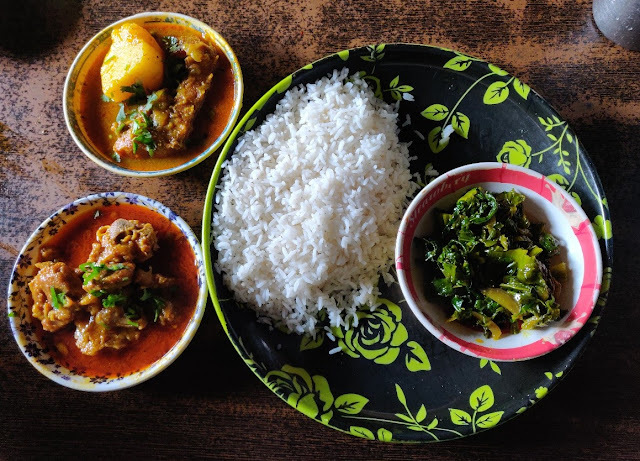 Dinner at Pradhan Lodge was a simple affair of rice, dal, and vegetables. We slept early as we had to leave in the morning from our next destination. A dampening bit of information that we received here was that Phalut, our second destination was closed due to snowfall, and so though we had initially planned for it, we had to now drop it in favour of an extra day at Sandakphu. As we finished our breakfast the next day, our luggage was already being loaded into a Bolero. Sanyog our driver for the next few days was a lad in his twenties and I was not getting confidence looking at him and given a rough terrain. However, Nilesh assured me that he was a good driver. We picked up packaged water and some snacks for the entire trip here, as we were told that availability will go down as we climb the altitude. 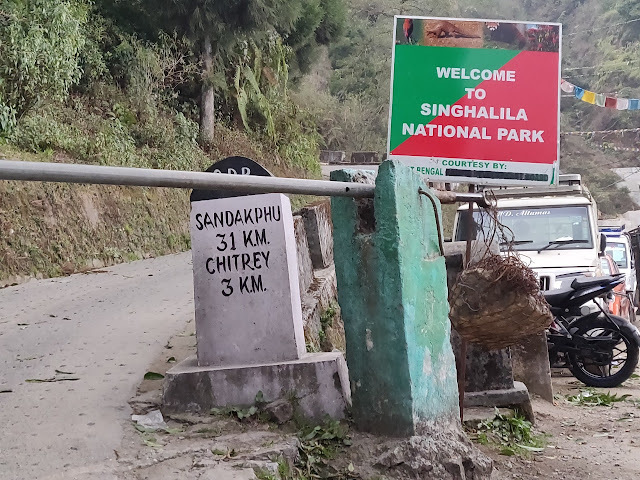 We had to register ourselves and the vehicle at the entry of Singalila National Park, and off we were to Tumling, our next destination. The road to Tumling passes through a few hamlets. The first steep climb took us to Chitre. 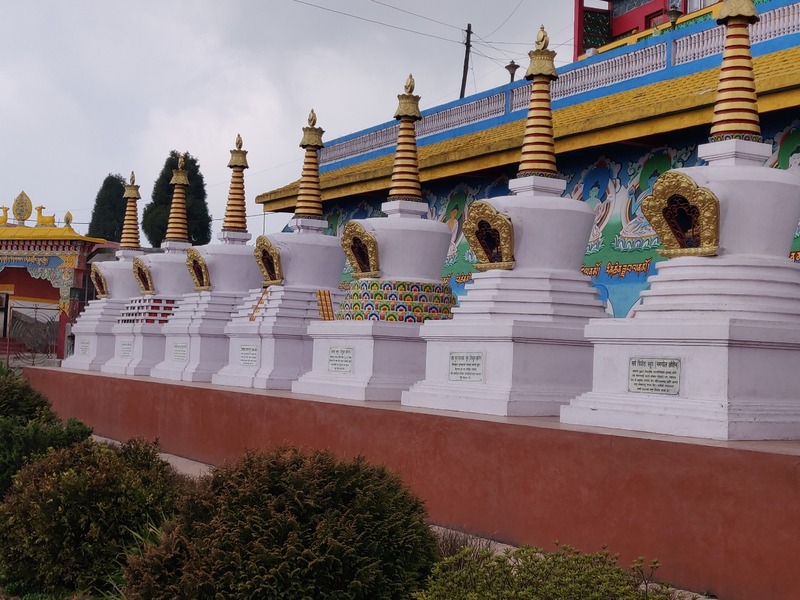 The village at 8000 feet is known for a local monastery, with eight stupas. You get a nice view of Kanchenjunga from here on a clear day, but we were not so lucky. 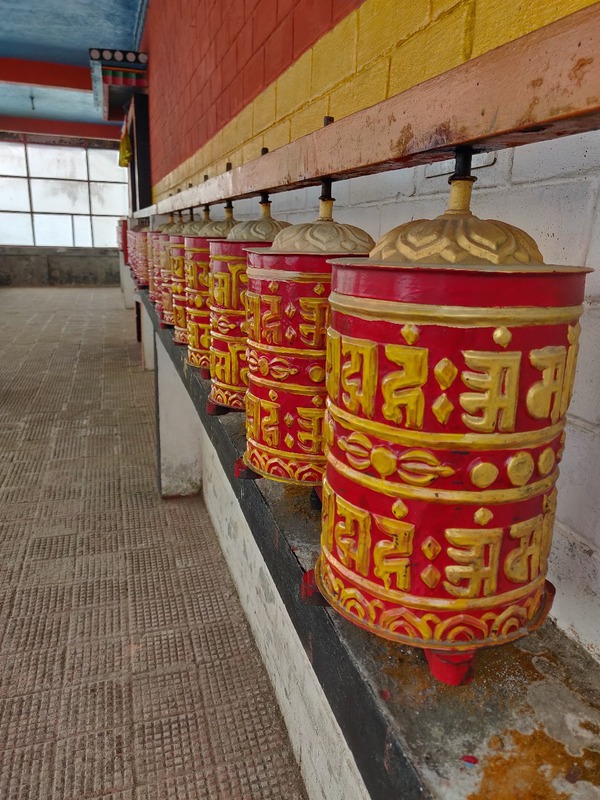 We went into the monastery to have a look, spent some time in the village and went ahead. The village has a few homestays and a local restaurant for trekkers who usually spend some time here. Our next stop was Meghma, a village named so because it is literally in the middle of clouds. 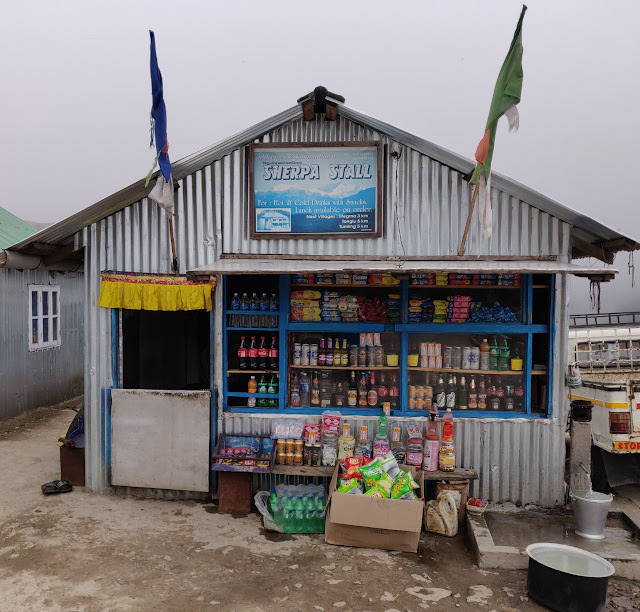 A small shop here sells everything from food and liquor. 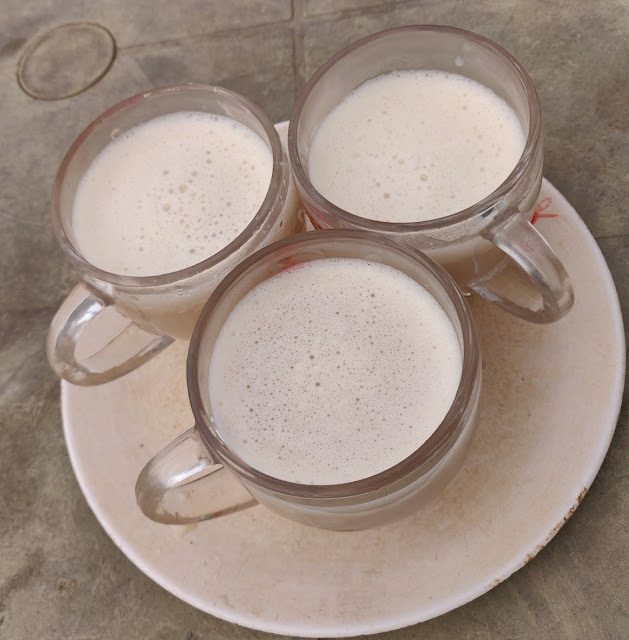 We settled for some Nepalese butter tea served by the owner lady here to warm ourselves. The road had become scenic by now, with the deep valley and rhododendron bushes blooming on the sides. Through another village Tonglu (known for its sunrise point) we reached Tumling, which is part of Ilam district in Nepal and our stay for the second night. Tumling is at a height of 10,000 feet. 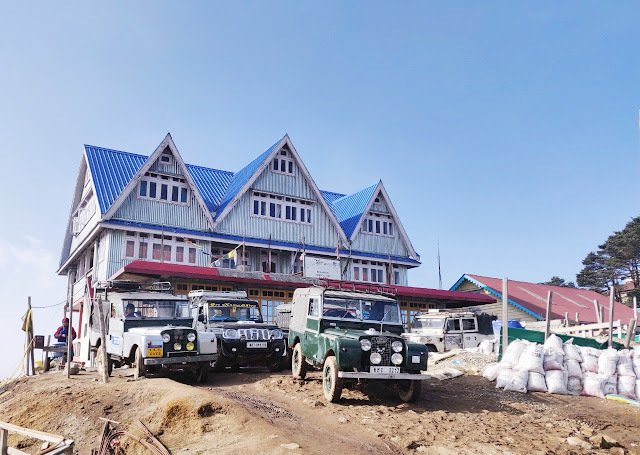 It has very few people inhabiting but has a clutch of homestays and lodges for the trekkers and travellers. 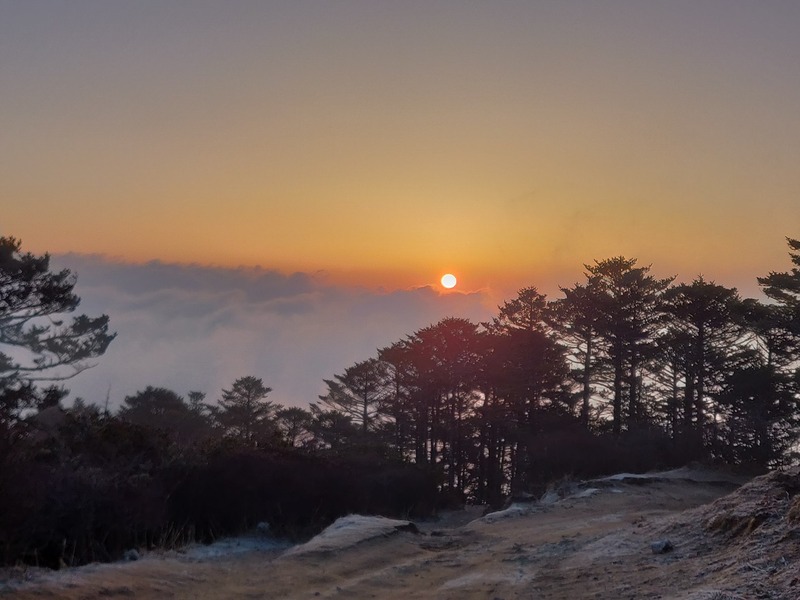 Because of the high altitude of Sandakphu, it is not advisable to climb in a day so that one can avoid mountain sickness. Tumling is usually a favoured stopover. The village has an open viewpoint in front of the hotels, where you can see Kanchenjunga at its full glory. About ten vehicles had brought in tourists to the place on that day. The entire team was at the viewpoint for a glimpse of the mountains. Our accommodation was at Mountain Lodge, a homestay with only about five rooms. Our room was small with no heater and the temperature was hovering around zero degrees. The evening was well-spent talking to other travelers who were sharing their experiences travelling to other parts of the Himalayas. 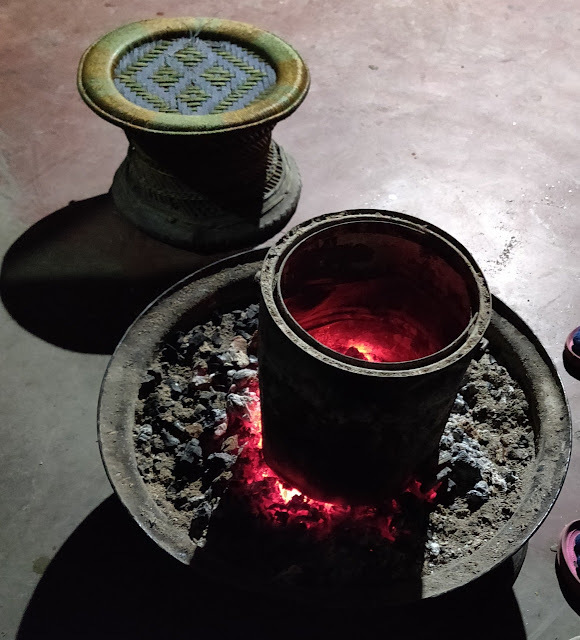 As a group was having dinner, others were sitting around the charcoal fire warming themselves up. 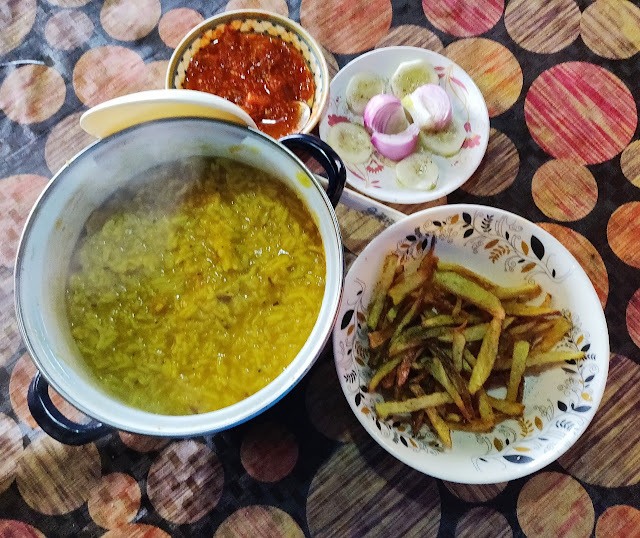 The homestay served some simple and delicious khichdi for dinner along with alu fry and salad. It was very tough to negotiate the cold during the night, but we were up early for the sunrise which could be viewed from our room itself. 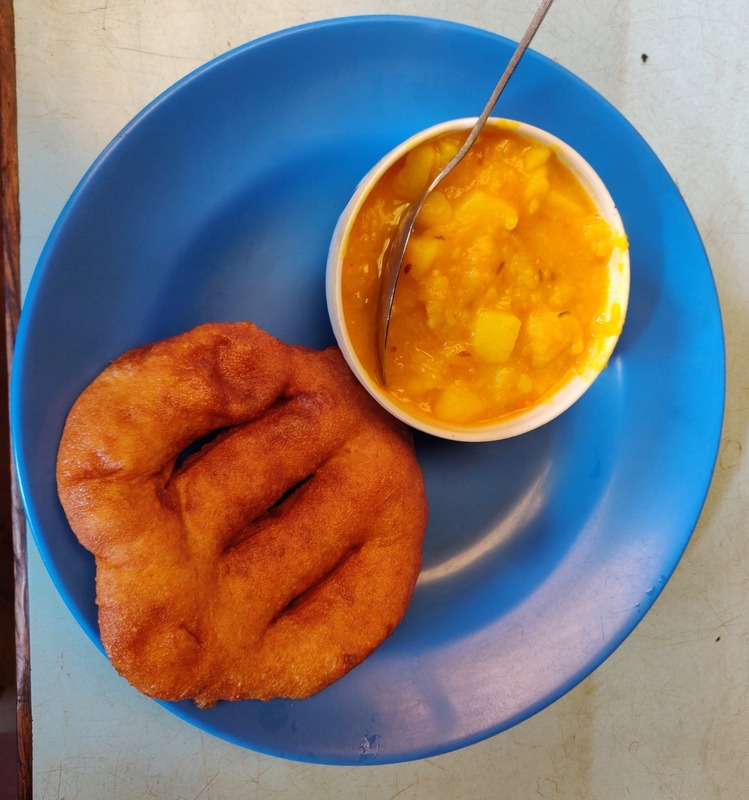 After a breakfast of Nepali Sel roti and alu sabji we were on our way to Sandakphu. Sandakphu is about 20 km from Tumling, but the road is good only for the first 8 kms. After a place called Gairibas there were only boulders for the vehicles to negotiate and wade through. 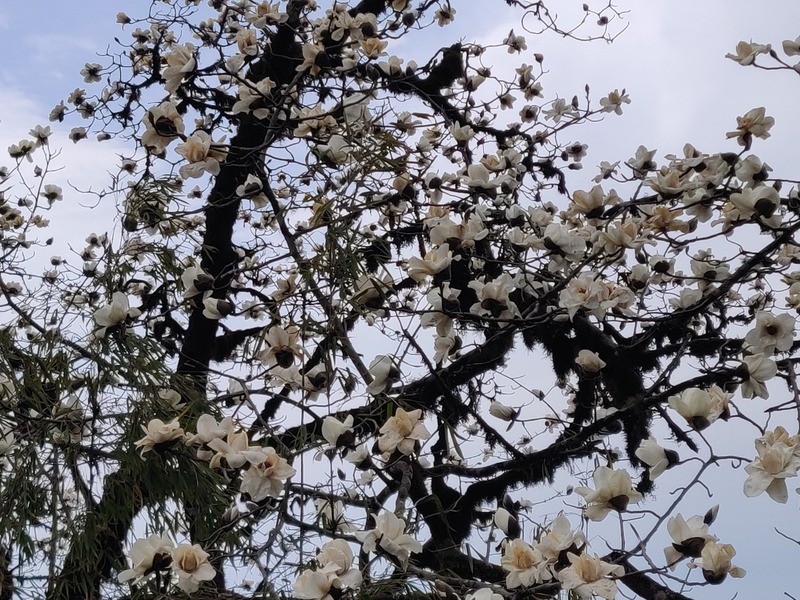 But for a nature lover, the scenic surroundings more than makeup for the tough journey. 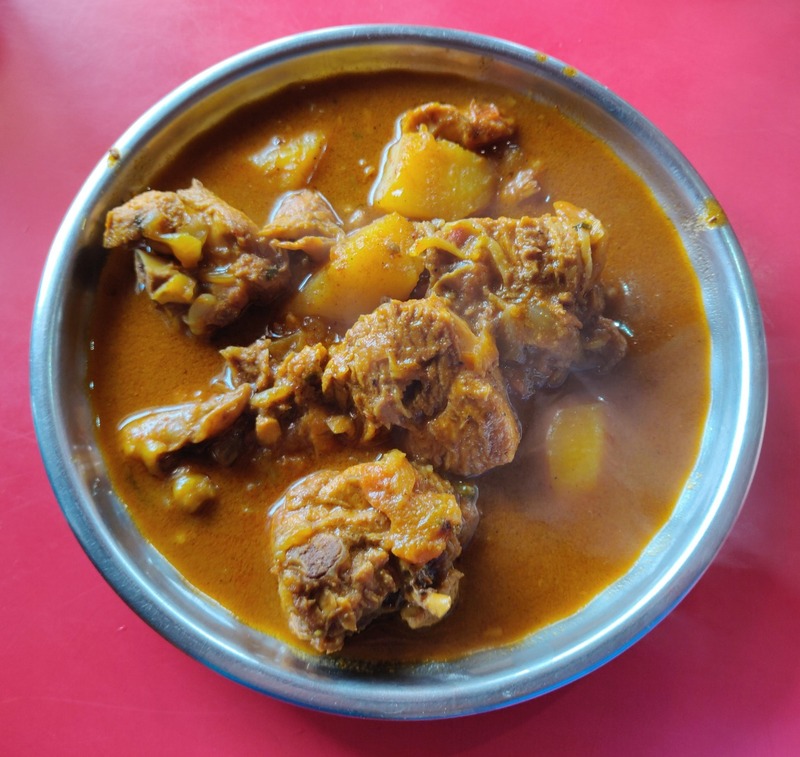 Our next stop was Kalapokhri. 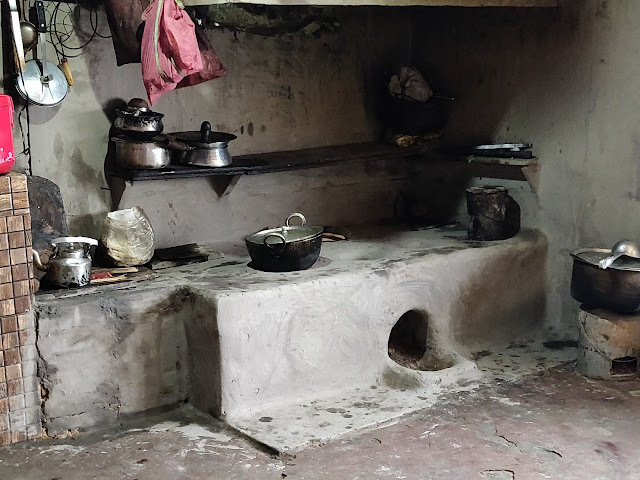 The dark lake (a literal translation from Nepali) has a few huts and homestays close by. 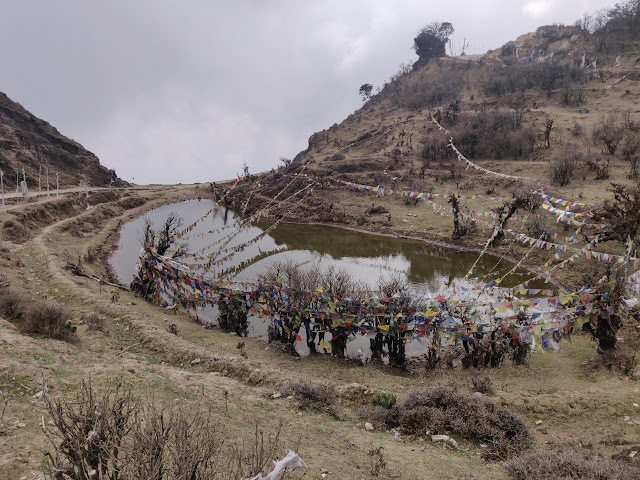 We were told that the area around the lake is home to the red panda, and many people camp within a few kilometers and wait patiently for weeks for sighting the animal. A cup of hot tea and we moved up towards Sandakphu. 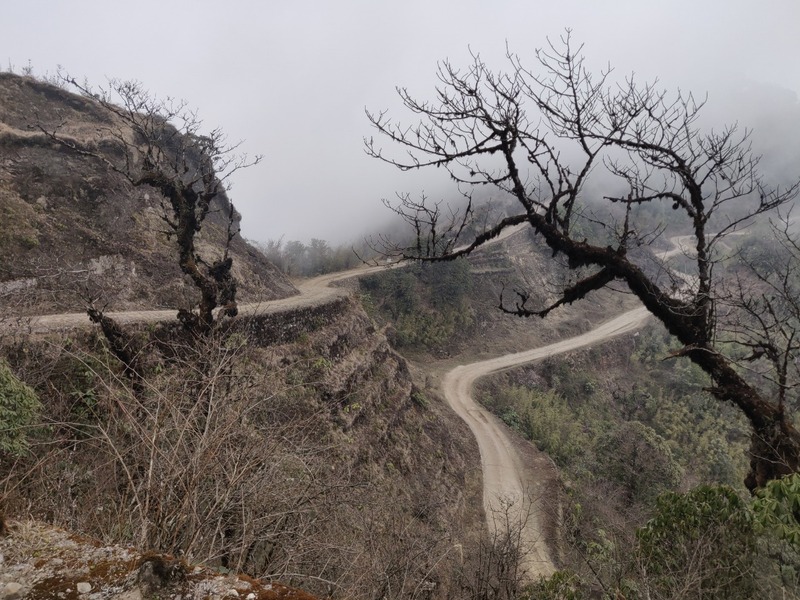 After Bikhebhanjyang, it is only four kilometers, but the road becomes very steep and bumpy, you feel literally like a matchstick being shaken inside a matchbox as you travel. 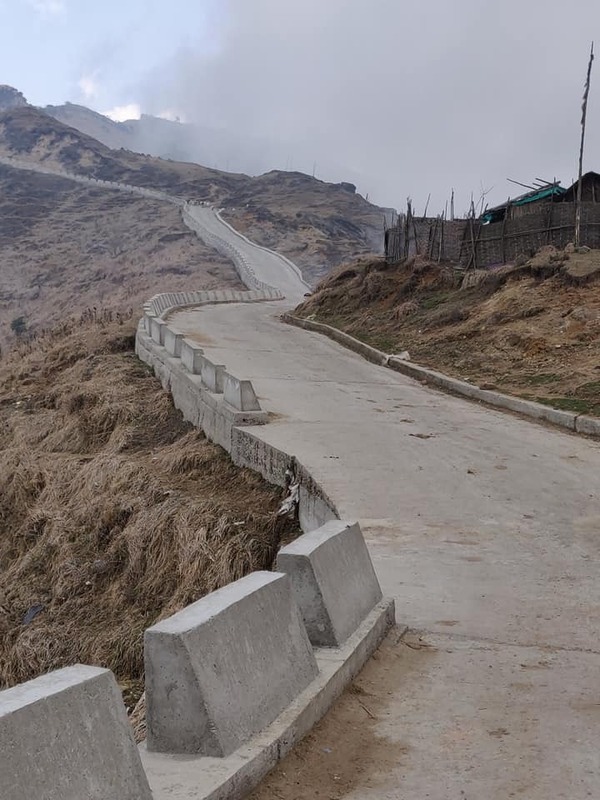 But the ordeal is shortlived and soon you are at a milestone which says Sandakhphu – 0 km. 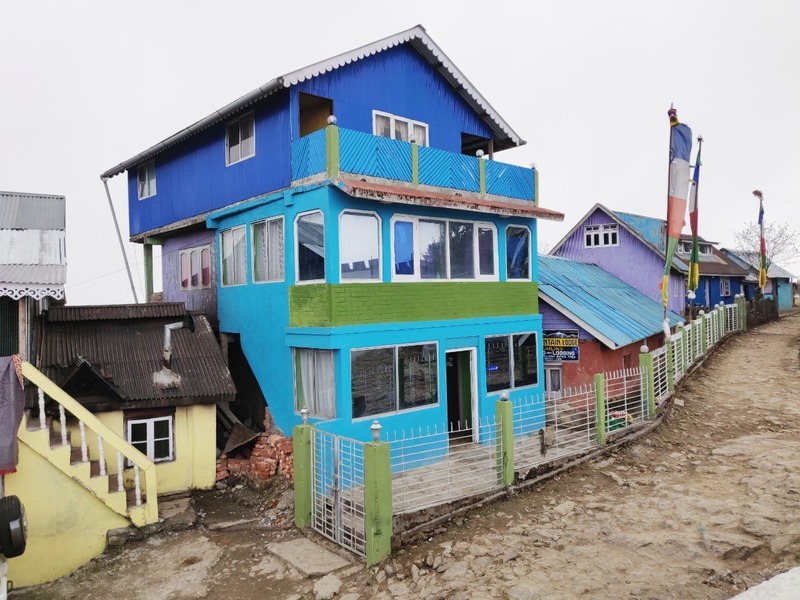 Sherpa Chalet, our hotel located on the highest point of Sandakphu is visible from this place, and soon we were checking in to our small room on the second floor. It was around 1 pm it was already dark and gloomy. We were told that there was very little chance of getting a clear view of the mountains on the day. The hotel had a large team of travellers who had reached the previous night, and it was scary to see many of them were suffering from nausea and breathlessness due to altitude sickness. 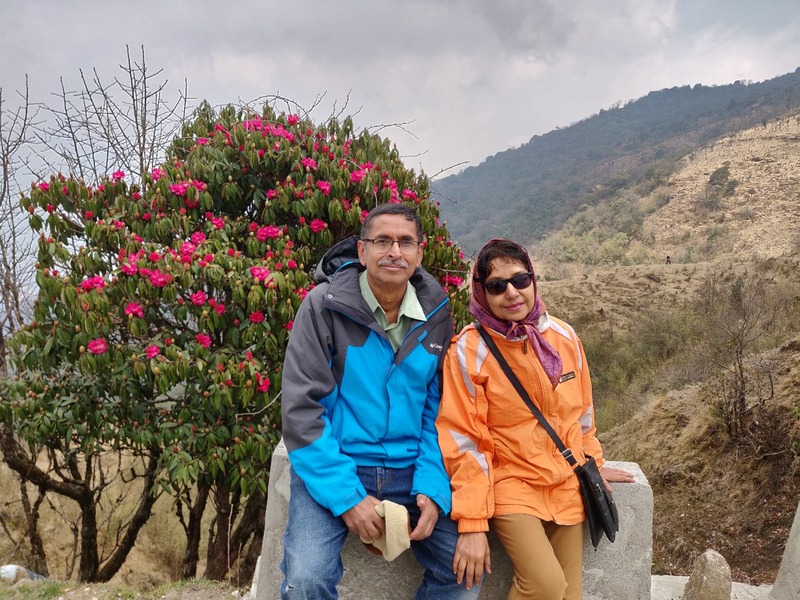 Thankfully, our Diamox (the tablets we use to prevent mountain sickness) was working for us, we could have a satisfying lunch of khichdi and settled down in our rooms for a short rest. The hotel only had solar power and offers a centrally regulated small light in every room only between 6 to 9 pm. We had the whole day for us to relax. We went for a walk around the pristine hamlet, careful not to tread on the remnants of the slippery ice from three days earlier. 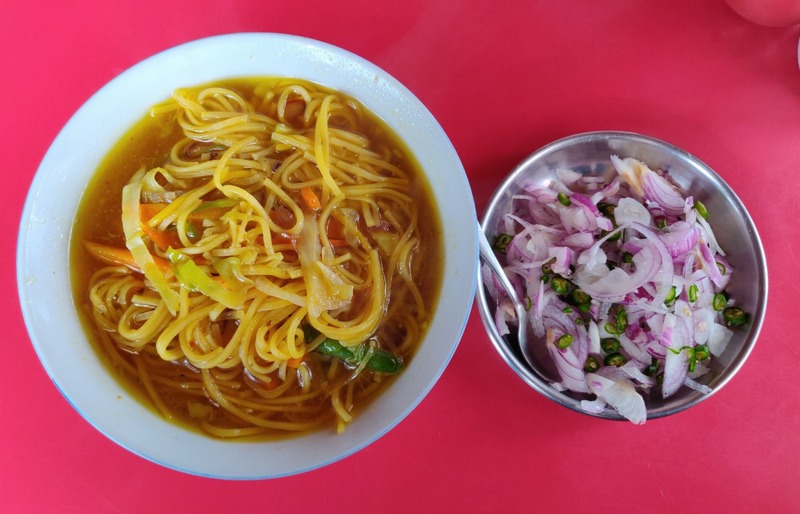 The dinner was a bowl of thukpa served with chopped chillies and onions, and we retired early hoping to catch the view early morning on the next day. 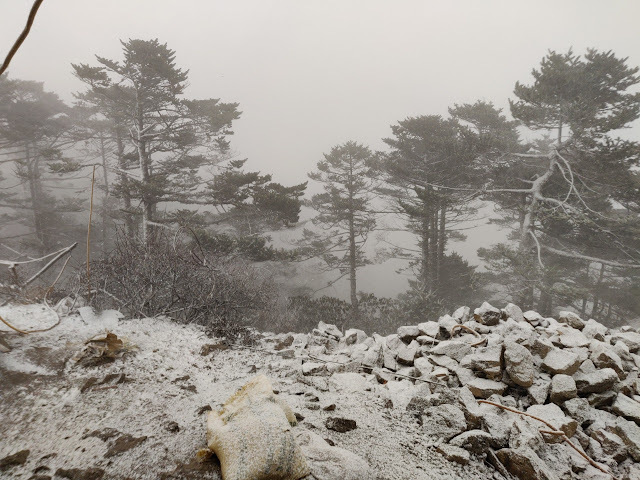 There are no room heaters in Sandakphu and temperature goes down to minus 7 degrees at night. It was freezing and I could not get a sound sleep in the cold even after lying fully dressed with the blankets over me, praying for the sun to come out early. At around 5:15 am, it started becoming bright, and we could see the entire sleeping Buddha distinctly and clearly from right in front of the hotel. There is a viewpoint close to the hotel where we walked down for the sunrise, but frankly, I felt the view from in front of the hotel was much better. Within a few hours, dark clouds reappeared and Kanchenjunga was gone. We had been fortunate only for a brief while, but the experience was worthwhile. In the mountains, there is no point arguing with nature. The cloud cover took over pretty fast, and we were disappointed that it started getting dark at around 9 am. However, the scenic beauty of the place with the Himalayas in the background is simply superb. 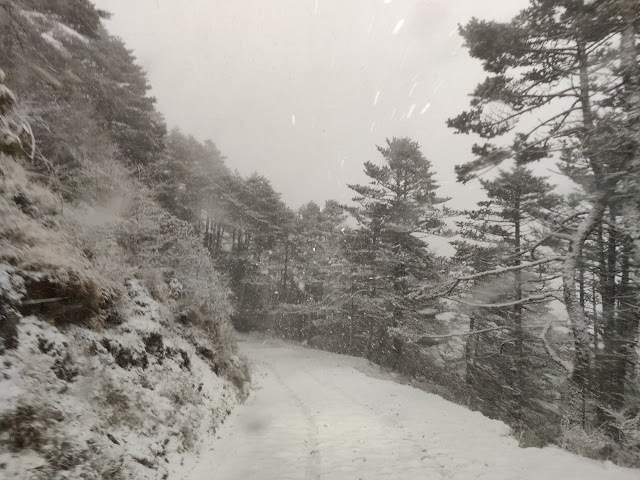 We would have loved to proceed on to Phalut, but trekking through the snow was the only way, and even the locals were apprehensive due to the regular snowfall happening over the last few weeks. On the second morning, we had an even clearer view, with a blurry glimpse of Mount Everest and Lhotse on our right. 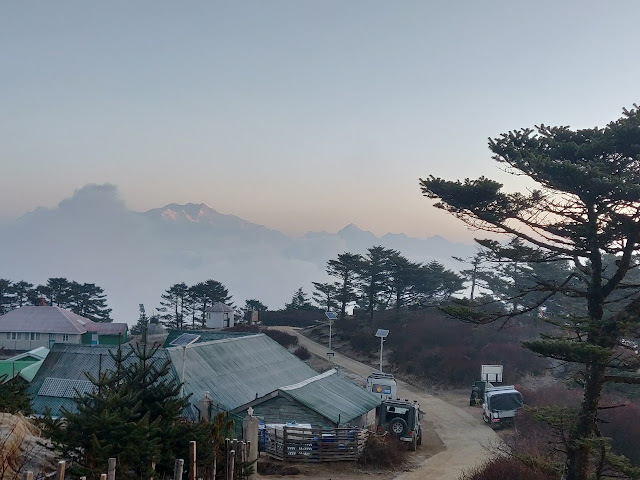 We were planning to leave Sandakphu by late morning. But heavy snowfall started around 8 am and our driver suggested that we start early, lest we get stuck there itself. So we rushed out to our car and started coming down towards Bikhebhanjyang. A couple of other cars, both Land Rovers were ahead of us. Soon the snowfall increased in intensity and snow started piling up on to the road. The vehicles were now finding it difficult to negotiate the snow. My young driver was excitedly shouting instructions to other drivers, often encouraging them to move forward. Even facing this extremely inclement weather and condition of the road, it was fun to see the drivers joking among themselves and quite upbeat. But soon it was evident that the vehicle could not proceed with us and the luggage in it. 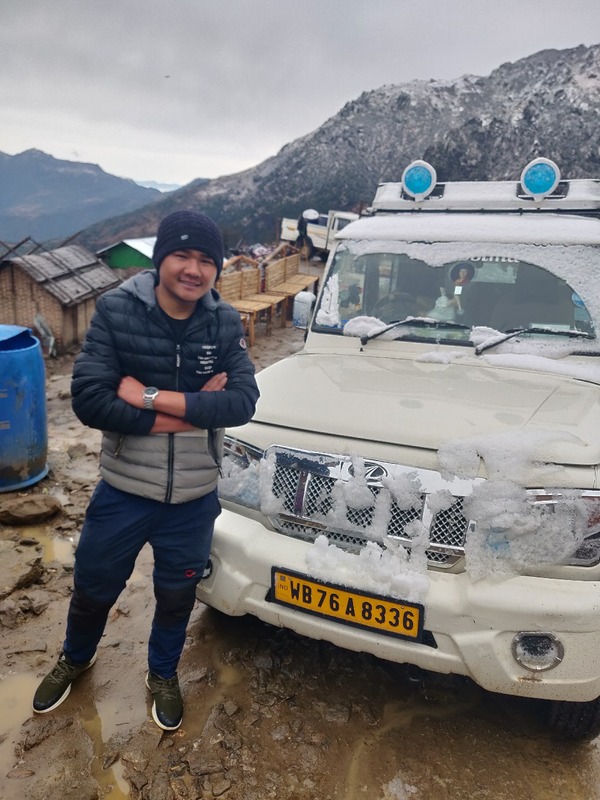 The driver told us that we have no option but to get down and trek the last one km to Bikebhanjyang while he brings the car down there. We disembarked and started walking, and soon realized that in our hurry we had left our Quechua trekking sticks in the car. I was now very worried, given that it was still snowing hard, the roads were slippery especially with many tyre marks where the mud had mixed with the snow. On top of that my seriously fractured left hand was still healing. 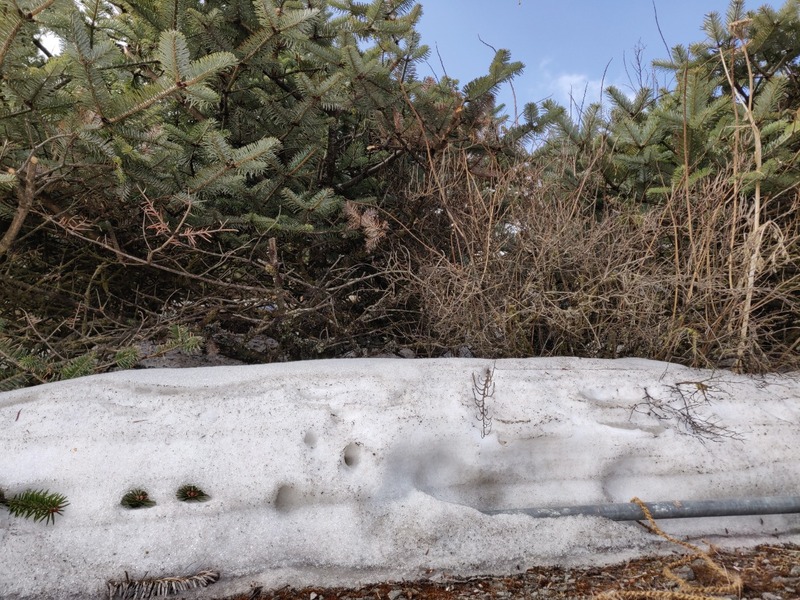 It was becoming extremely difficult to maintain balance with incessant snowfall, and the slippery track around the tyre marks. However, a group of young Bengali travelers materialized from the next car and came to our rescue. I was really having problems maintaining my balance at that time. 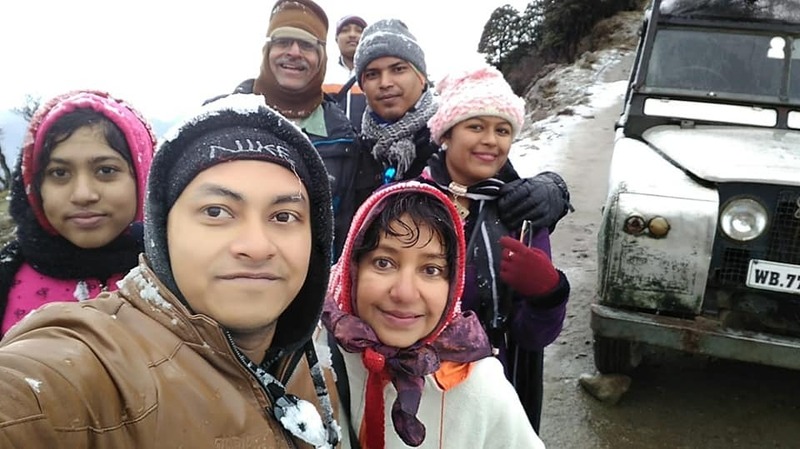 These good Samaritans held our hands throughout the walk through the snowfall and slippery road, guiding us from time to time, and making sure we did not fall. 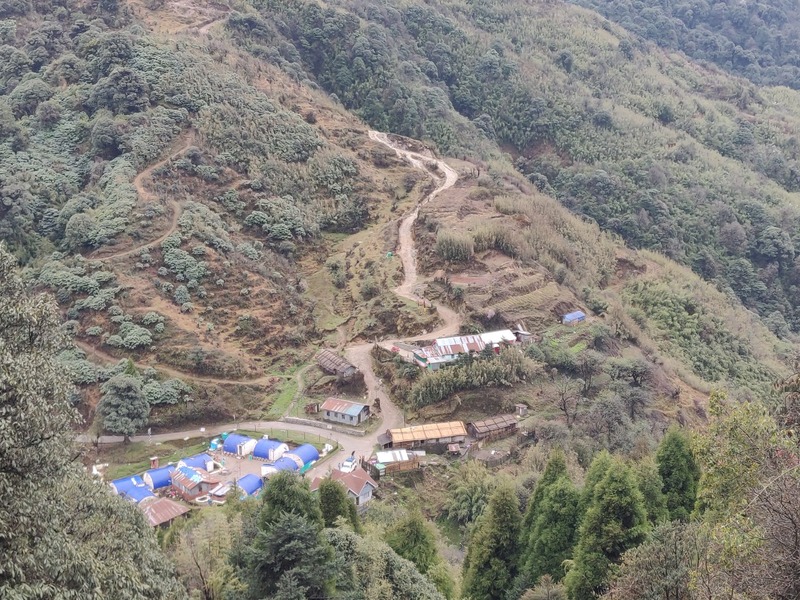 We walked downhill along the trekking tracks to Bikhebhanjyang where our car had already reached. We thanked our new friends profusely and moved on. It was as if God had sent them to us. Really, I would have been in big trouble without them. To our surprise, the weather was completely clear and normal at Bikebhanjyang. That is how mountains are, the weather can be completely different a few kilometers away. 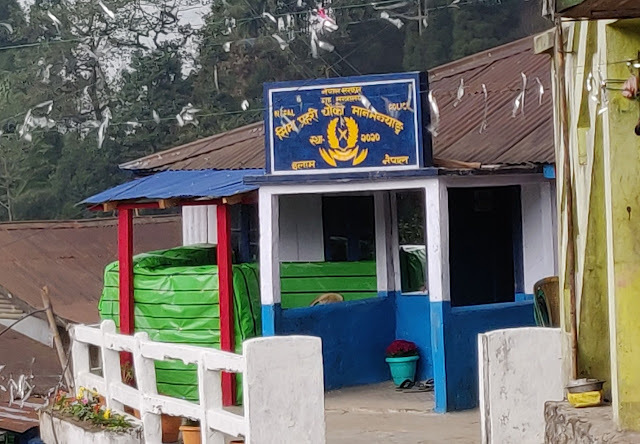 As we swiftly boarded our vehicle and moved towards Darjeeling through Tumling and Manebhanjjyang, I was wondering whether I will be able to come back to this place sometime in the future. 1. 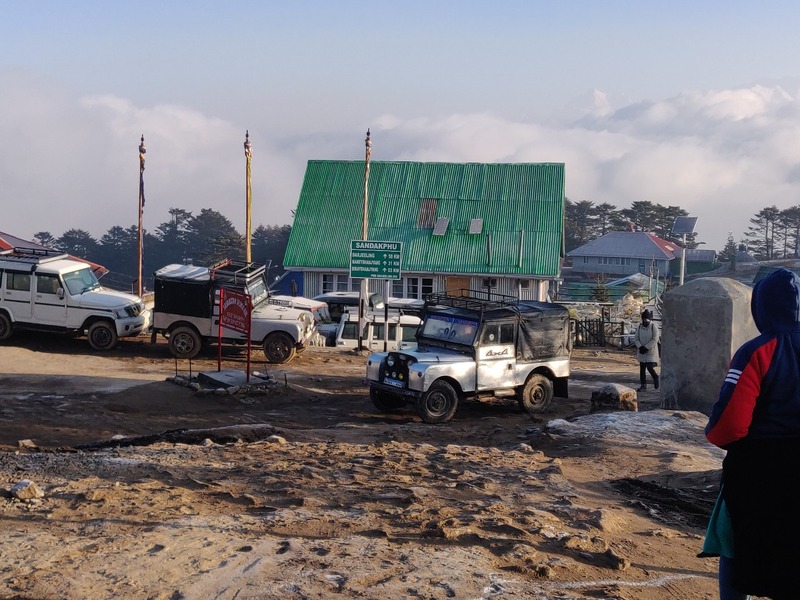 For Sandakphu, you can either trek or travel by land rover/Baleno from Manebhanjyang. Except for the last few kilometres, the trek seems easy. 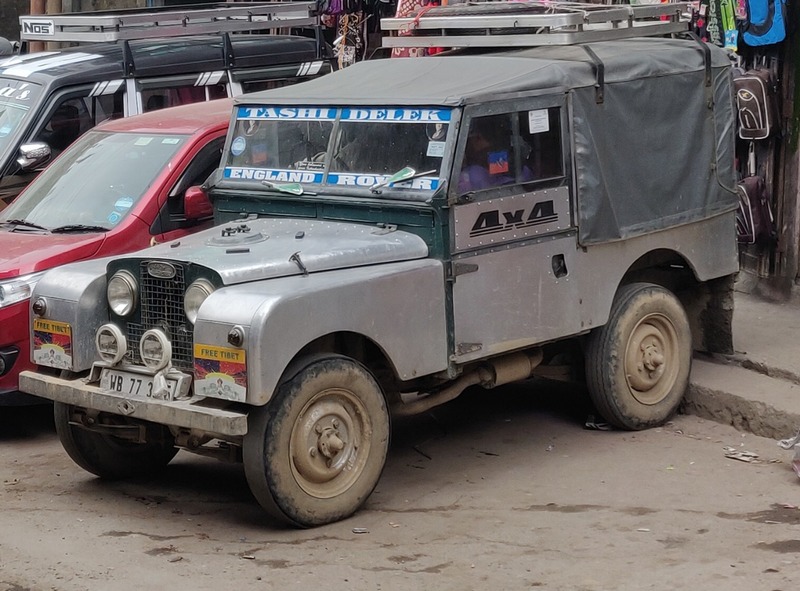 You cannot take your own car here, you have to mandatorily hire a vehicle with driver from the Himalayan Land Rover’s Association at Manebhanjyang. Prices are fixed by the association. 2. Sandakphu is at a height of 12000 feet, so your body needs to acclimatize to the height. It is strongly recommended that you take a night break at Tumling, and not try to save a day. I have seen some travelers who drove directly from Manebhanjyang very sick at Sandakphu. We also use a medicine Diamox from a day before we start the climb. 3. 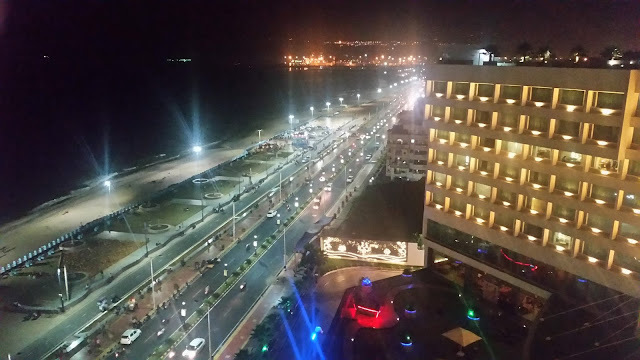 The hotels and homestays on this route are very basic. Nights can be especially cold and the quilts and blankets from the lodges provide less than adequate protection. 4. Mobile signals are hardly available beyond Tumling. 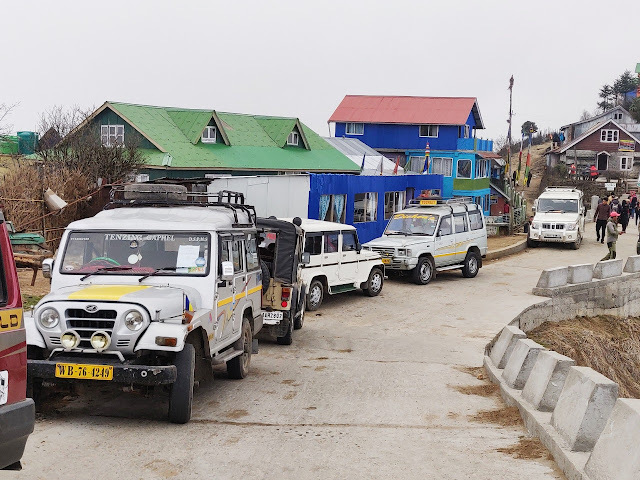 Airtel connection worked at Tumling, while at Sandakphu Jio works to some extent while Airtel goes completely dead. 5. For entry into the Singalila National Park, you need to do on-the-spot registration where a proper Indian ID like passport, Aadhar card or Voter’s ID is mandatory.